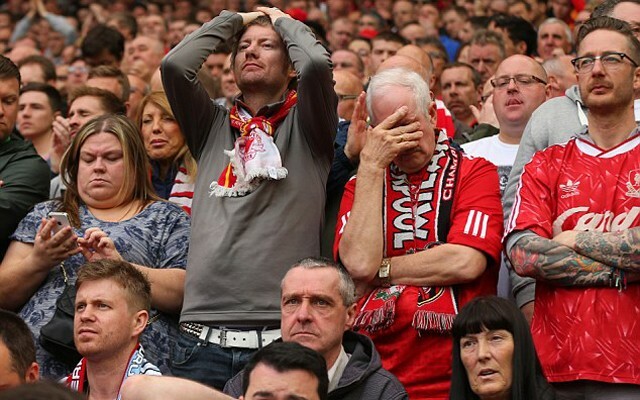 Liverpool fans have taken to Twitter to voice their frustrations at our rather unkind Premier League fixture list. Our first seven away games see us take on Stoke City, Arsenal, Manchester United, Everton, Tottenham Hotspur, Chelsea and Manchester City – an incredibly tough run of games by anyone’s standards. While our home games have been more kind, with our first seven fixtures against Bournemouth, West Ham, Norwich, Aston Villa, Southampton, Crystal Palace and Swansea City, a lot of supporters aren’t impressed. On the plus side, it should mean that a lot of our more difficult games will be out of the way nice and early. If we can maintain a place in and around the top four up until the end of November, then we should be able to push on from there. We picked out our five key fixtures of the season in a list HERE. So take a look and see if you agree with the matches that we’ve chosen. There’s certainly plenty to mull over for the players and fans alike as we gear up for early August. Our first 7 away games: Stoke Arsenal Mancs Blue shite Spurs Rent Boys Man City Ridiculously hard away run! In case ANYONE missed it… Or missed the tweets… The fixtures are out.. & #LFC are away to Stoke first game!!! Ur welcome!